Rob Crozier is an excellent jazz bassist who leads his Jazz Ensemble in Michigan, performing at clubs and festivals. Following on the success of their previous Tall Trees CD, Ocean Blue is his band’s latest release. 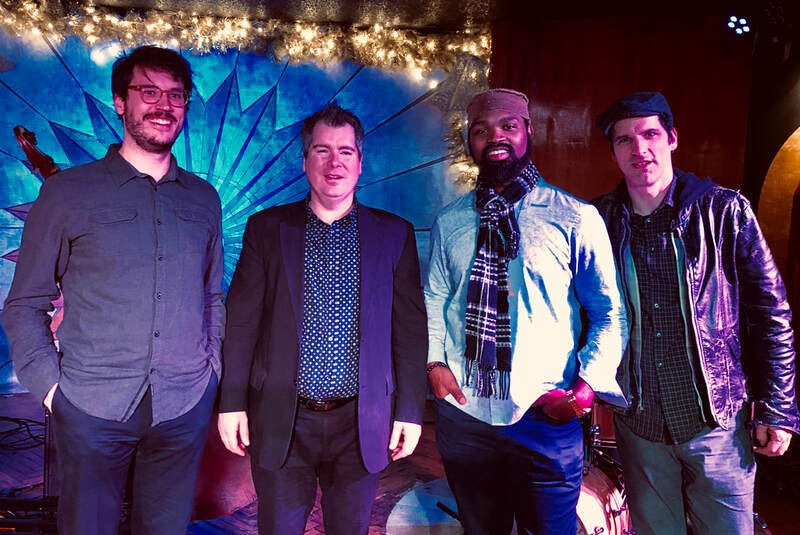 Ocean Blue features the core quintet of bassist Crozier (who also plays the didgeridoo), Rafael Statin on tenor, soprano, bass clarinet and oboe, pianist-keyboardist Keaton Royer, drummer Rob Avsharian, and percussionist Aron Kaufman along with a few guests. They perform nine originals that cover a wide range of styles and moods. The program opens with Terry Jackson reading a brief poem on “Water’ over a bass pattern. The band then performs an augmented blues with fine solos by keyboardist Keaton Royer and Statin on soprano before Jackson returns for another short talk about the importance of water. The second half of the set begins with “H.O.M.E.S,” a menacing strut that is highlighted by Statin’s intense tenor playing. He switches to oboe for “Water Snakes,” a fairly free exploration that is full of atmosphere. The straight ahead “Keaton’s Blues” sometimes finds the soloists (tenor, bass, piano and drums) venturing a bit outside. The fast jazz waltz ‘Ocean Blue” has a haunting melody and an attractive blend by Ms. McDermott’s flute and Brian Brilll’s keyboard (whose synth work is featured on three numbers). The memorable set concludes with the funky “Into The Gloaming” which includes a vocal by Emma McDermott (who wrote the lyrics) and a soulful solo from Royer. Ocean Blue holds one’s interest throughout and has no slow moments. It makes one want to see Rob Crozier’s Jazz Ensemble live but, for those of us who live a distance from Michigan, this enjoyable recording will suffice for now. "The Elkhart Jazz Festival was ramping up for the weekend and the Crozier Quintet was at the top of my list. After nearly 25 years as talent chair of the EJF, I have heard hundreds of bands in the common jazz genre: trad, swing, contemp, smooth, etc. 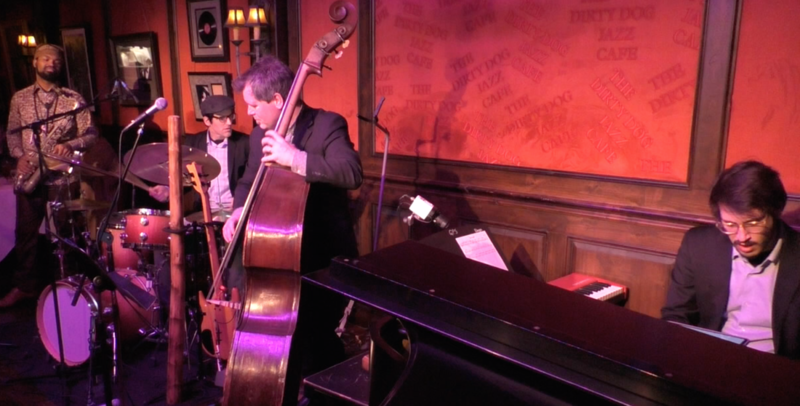 Rob served up a border-line swing/contemp with some excellent players." ​"One of the joys of presenting 5:01 Jazz Shows is featuring beloved favorites such as Ron Brooks, Ramona Collins and Paul Finkbeiner. Another pleasure is to introduce new names deserving attention. In bassist Rob Crozier and his 5tet, we offer a band of veterans and fresh faces with a novel approach to improvisation. Bassist Rob Crozier (who also doubles on didgeridoo! 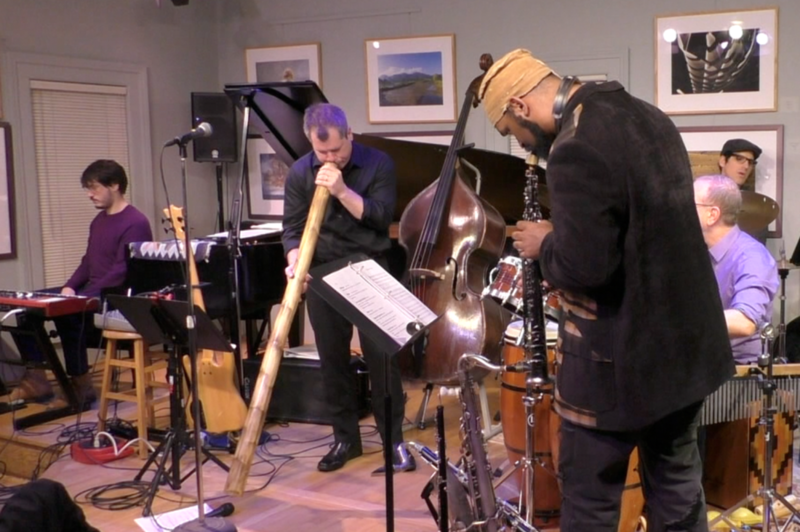 ), saxophonist Pete Kahn, guitarist Rodney Rich, pianist Brian Brill and drummer Sam Genson will celebrate Rob’s new CD Tall Trees at WEMU’s next free Sesi Motors 5:01 Jazz Show on Friday, April 7th. Rush Street Nightclub, 314 South Main Street in Ann Arbor throws the doors open early for our pop-up jazz club starting at 5:01 PM sharp."